Howe Dell is an Outstanding Primary School set close to the heart of the business park in Hatfield. Inside the school building is a hive of activity. The children are engaged in their learning, staff are working above and beyond to provide stimulating and enriching lessons and the strong leadership team are keeping the whole machine well oiled and organised. On the outside, the school grounds also have a lot to offer; a growing garden, a nature trail and a pond, to name a few. 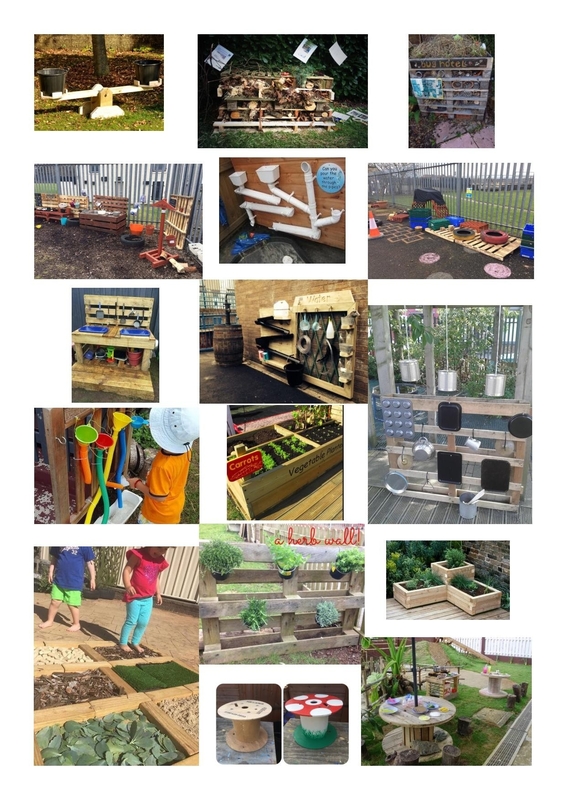 As a school we are always striving to improve what we offer to the children of Howe Dell and developing outdoor learning is an exciting approach to teaching which we would like to embed into our curriculum. We have already been given The Green Flag ECO award and this underpins the way the school and site are run and this is something we want to maintain. In order to do this we need your help. On Thursday 17th May 2018 we will be taking part in ‘Outdoor Classroom Day’. This is a global campaign which aims to see as many children as possible playing and learning outside on this day. Learning outside has a powerful impact on children and can improve behaviour, teach critical life skills such as problem solving, teamwork and develop creativity. So where do you fit in? We would like to organise for our outdoor learning environment to be the best it can be before this day and in order to do that we need donations of resources, willingness to lend a hand and commitment. Please take some time to look at the photos provided as these will give you an idea of the types of things we are aiming to do. 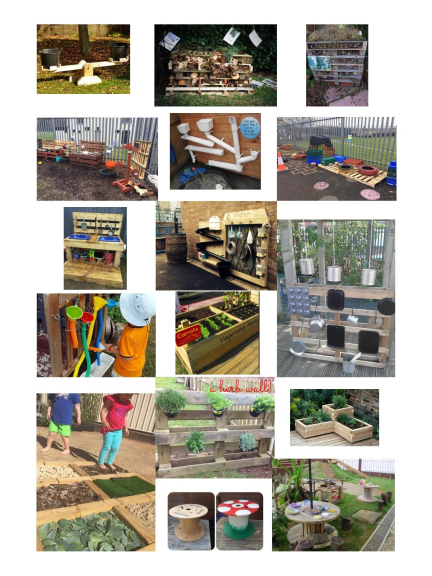 Many outdoor learning areas can easily be made from recycled materials and this fits well into the Howe Dell Eco ethos but preparing areas and putting everything together is a big job for one person but with many pairs of hands and some community spirit it will happen in no time at all. I hope you will be able to be a part of this project and look forward to hearing from you.